3 Digit and 7 segment LED display for current, fault and status. Set points and trip delay for the pump protection. Also pump protection in manual mode. Auto/Manual selection is done from front key. In manual mode there are two separate switches, one for each motor to turn on and off. Also Available in PSP 11M. Can be used for working stand by, RO service, backwash pump in filters, auto UF Plant. 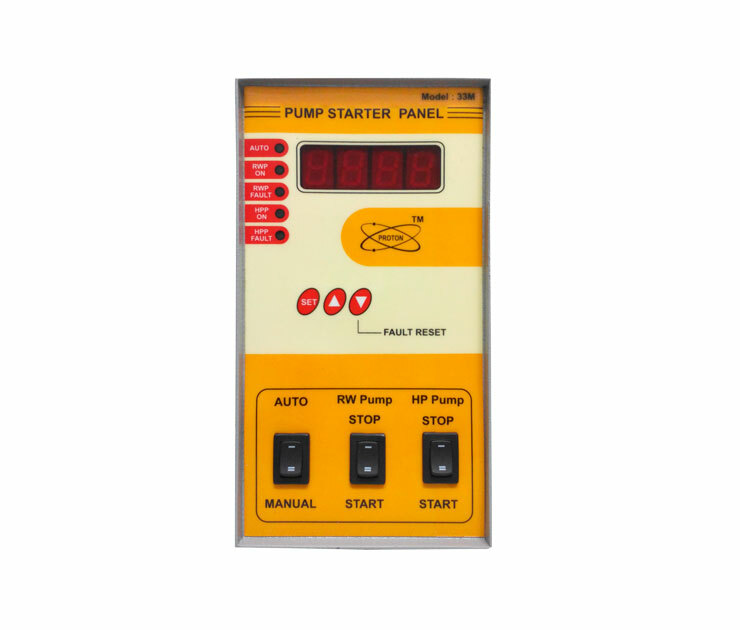 Both the pump can be selected as 1 phase or 3 phase type.